½ medium red onion, peeled and diced. Directions: Stir ingredients together and simmer on low heat for 10 minutes. Place chicken in bowl and toss with bbq sauce. 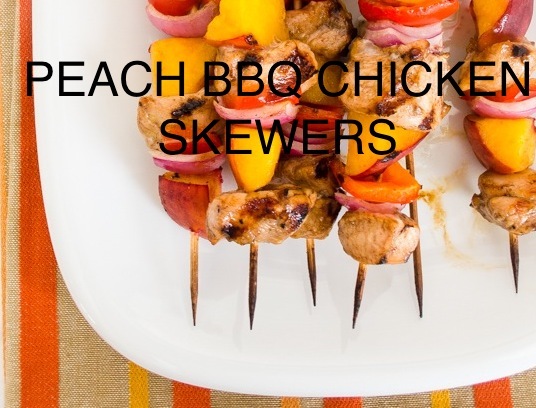 Add chicken to metal skewer, alternating with vegetables. Spray skewers with coconut or grapeseed spray oil. Grill over hot fire 5-8 minutes each side, spraying again as necessary. Garnish with sea salt and pepper.